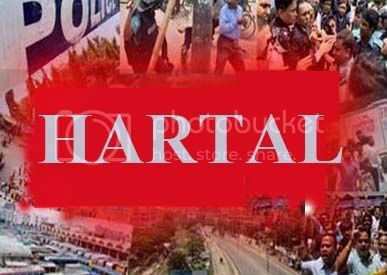 Hartal is a common and very well known word in Bangladesh.It has become main weapons of Bangladeshi political party . Hartal mean strikes or collective actions . Opposition party is use this weapons to put presser on running government in Bangladesh. Every political parties are being used this weapons and resulting huge casualty as well as economic damage of Bangladesh . This day public transport such as bus ,train etc are not running across the country as a result people can not moving any where else .